Thanks for joining our type army here at TypeCast. We look forward to your presence and participation in future webinars. Type on the Web vs. print: what’s the difference? 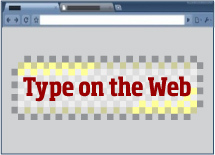 Join Ilene Strizver as she talks about what you need to know about type on the Web.